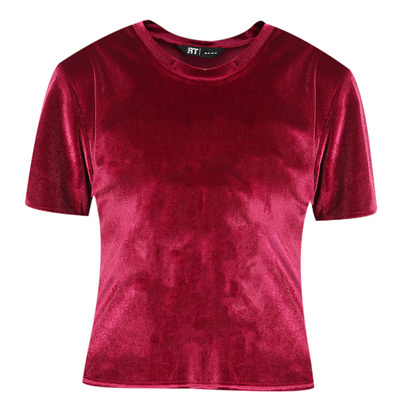 Velvet is unavoidable this season, with stores stocking up on the trend. Plus, with colder weather fast approaching, it’s a great element to incorporate into your wardrobe. 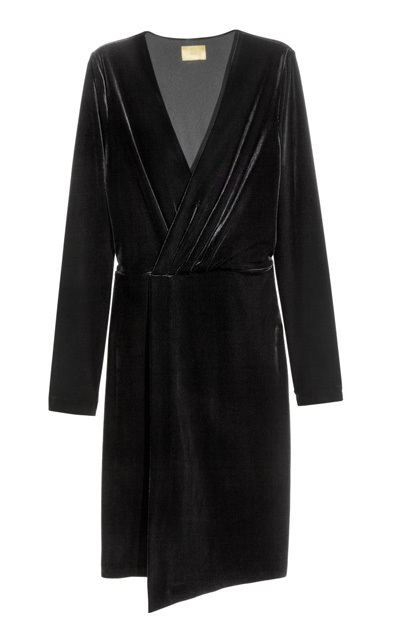 Whether you choose a velvet dress, handbag or shoe, you’re sure to make a statement! Go for pieces that will serve you all year. Consider layer pieces and accessories as these will go the distance. 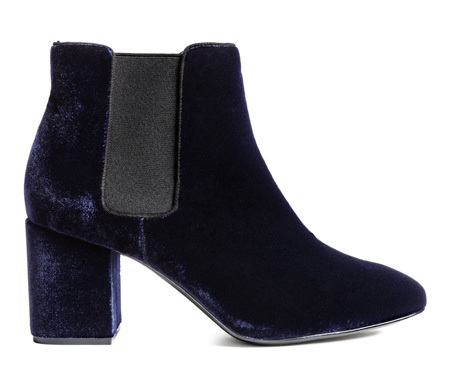 We love this velvet block heel! 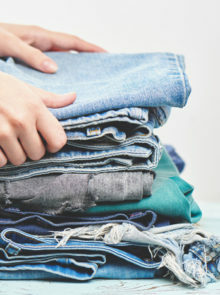 Dress it up for a girly feel or have fun with jeans. 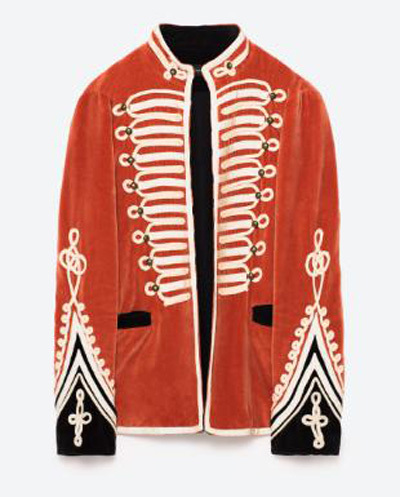 Be adventurous and go for this bold blazer. Wear simply with jeans and a t-shirt and you’re guaranteed to still turn heads. 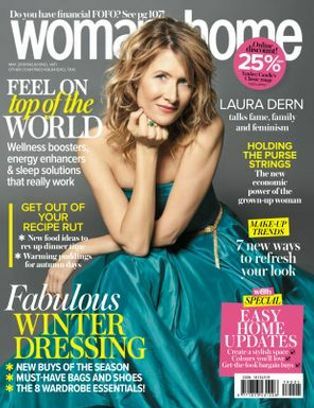 Try velvet in the pants style we love, culottes! 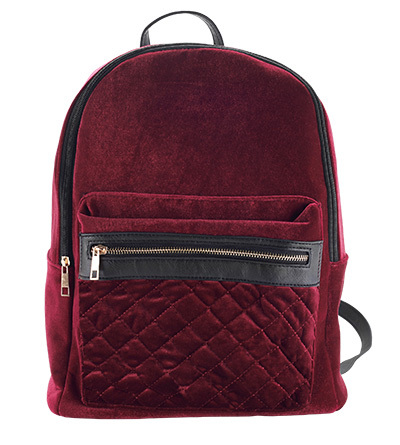 The crinkle velvet is a great way to wear the trend, and doesn’t need much effort. Pair with a simple top and heels and you’re good to go. This playful bag is an easy way to try the trend without being too over-the-top. In the season’s key colour, you can’t go wrong. Pair casually for day or add an unexpected twist to a dressier look. You won’t put a foot wrong in these boots! 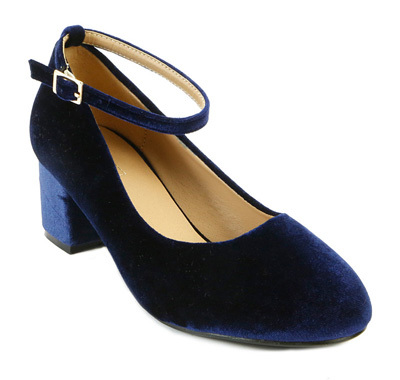 Velvet shoes in navy are easy to pair with most things – be sure to wear with a dress or skirt, or roll up those cuffs to show off your shoes. 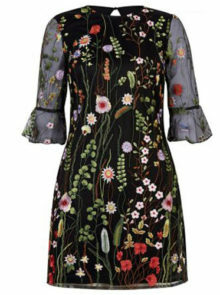 This dress will be your cool weather go-to, from autumn to winter and cool evenings all year round! Pair with boots and tights on cold days or strappy heels for a warmer night out. 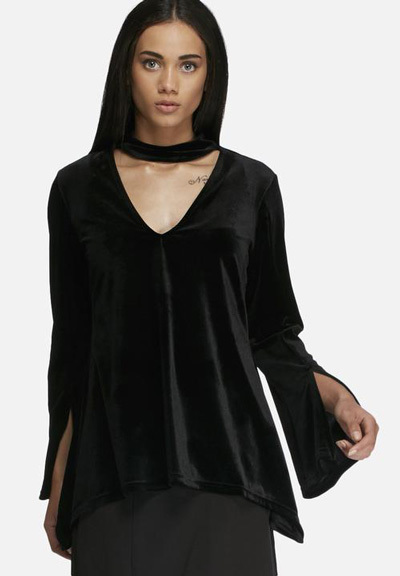 The velvet t-shirt needs very little thought – just pair with jeans and sneakers for a casual take on the trend or layer underneath a dress for a hint of velvet. 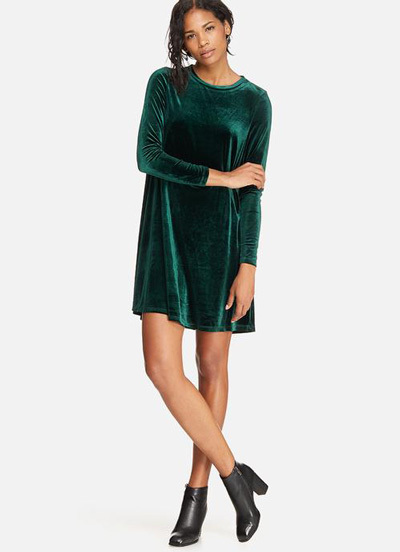 Embrace the trend with this green velvet dress. Pair with ankle boots or layer over jeans on cold days. This luxurious piece will earn you many compliments. 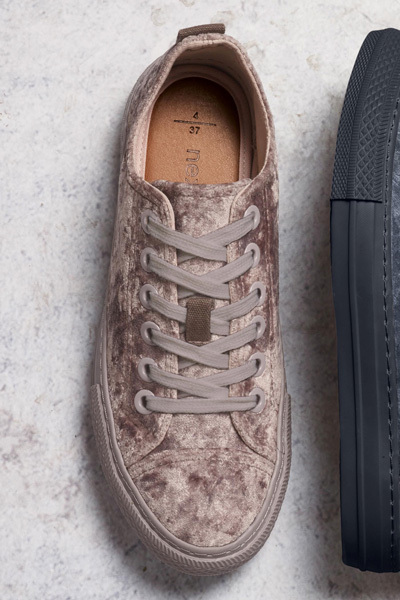 An easy way to try velvet is with these baseball sneakers. Wear it anyway you like; it’s sure to spruce up any casual look. 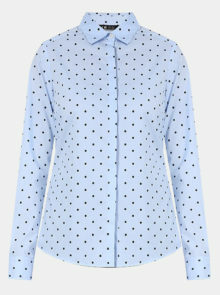 This will be your not-so-basic basic top – the cut-out detail keeps things interesting. Pair with a short skirt and boots for a night out or run errands in jeans!